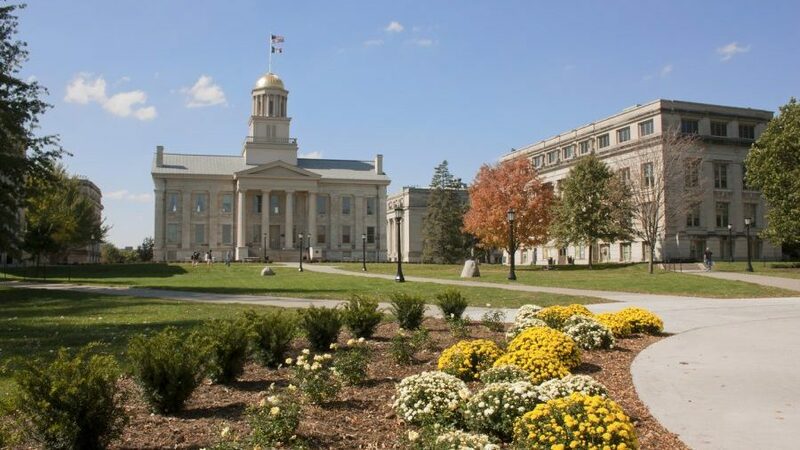 Iowa City, USA - October 8, 2011: The Old Capitol building on the Pentacrest on the campus of the University of Iowa. To its right is the Museum of Natural History. We’re grateful to have been part of the university community for 25 years, and we think that the university has been a richer place for having Sikh, Muslim, Mormon, Catholic, Jewish, atheist and Christian groups. Because we love our school, we hope it reconsiders and lets religious groups continue to authentically reflect their religious roots. Jeremiah Poff is a member of the Young Leaders Program at The Heritage Foundation.